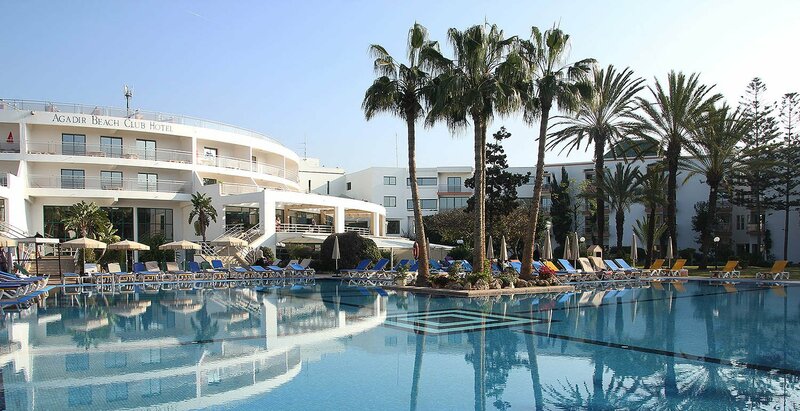 Views of the gardens, swimming pool or sea are offered in the rooms at Agadir Beach Club. All rooms are air-conditioned and also feature satellite TV. Some rooms have a private balcony. Dining options at Beach Club include a buffet breakfast, Italian cuisine, Moroccan specialties, fish dishes and international food. Guests can also enjoy a drink in the various bars, nightclub or piano bar. Free Wi-Fi in public areas, tennis courts and souvenir shops are just some of the other facilities on offer. Private parking is free on site and the hotel is just 1 km from the N1, which leads directly to the Grand Port. The cleanliness, the staff, the sea view, proximity to beach. Good location. But other hotels are also in a good location. The food and the staff were amazing friendly and accommodated our needs. I did like everything good place to relax as well. They were very accommodating and really helped with my assessment i needed to complete. They were brilliant in this department. Beach location. Easy access to restaurants. Friendly, helpful staff. Had an amazing time there over the New Year. Will definitely return! Excellent staff and overall experience. Good breakfast. Very nice location by the beach! Private beach for the hotel as well. Pool and communal areas are quite nice. Hotel staff were nice. The view from the room. Which I paid extra for. The hotel was clean, housekeeping service was great, the location is PERFECT!! Literally a stones-throw away from the beach, local shops and restaurants. Staff were very helpful and friendly. The location was great, close to restaurant, the staff was nice and courteous despite my numerous requests to bring better pillows and fix the internet issues. Great breakfast! Location is right near the beach and everything is close. Food and drinks were really good and service was alao great. Location was perfect, food was ok, staff was rather friendly. 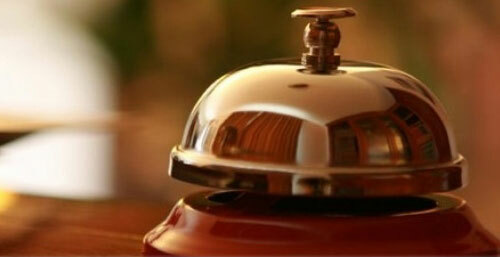 This is a 4-star hotel, so your expectations towards your room etc. should reflect that. Sea view is nice, sunsets are amazing. Staff was amazing. Very helpful and friendly. Especially the waitresses. Very large pool, never crowded had water polo and other activities every day around the pool , our room was clean and all staff were very friendly and couldn't do enough to help. The staff were very pleasant and helpful. The pool and services are very good, location is also ok not far and close to most of things. Good to spend some relax days. Direct access to beach is nice. The location and the stafF were excellent. Extremely friendly staff at the restaurants, also for kid's animation. Good location with children. Great food at the International buffet and Italian restaurant. The hotel was in a great location near to the beach, plus the hotel pool was very nice. The staff were very friendly and helpful. Very close proximity to the beach which is just what we wanted. Rooms were of a decent size. Swimming pool was large and suitable for large families. Location, territory,private beach - very nice! Hotel staff try always to help! Ocean is great, water was warm! I liked the location and the breakfast buffet was decent. It is beside the sea and has it's own area. The pool was good and buffet breakfast very good. The swimming pool is nice. The direct access to the beach. The access to the marina. I loved that our room was facing the ocean. We could wake up to the sound of he ocean. The breezes were amazing. The sunsets were so beautiful. The staff was friendly. The hotels location is quite good. Location and the territory around. Good breakfast. Generally fair option. check in hotel was fast , but they doesnt has internet in the room , but after speak for general stuff hotel gave as mobile wifi to room . Good location, great access to the beach and staff were great. The pool is heated from November 1st to April 30th. Private beach with umbrellas and sunbeds free of charge. We offers a laundry service delivered to your room in 24 hours. Younger guests are warmly welcomed to BEACH CLUB AGADIR, where our family-friendly hotel offers an array of activities for kids of all ages. We offer several entertainment throughout your stay: gym / aqua gym / arabic / petanque / darts / beach volleyball / water polo. Pour les enfants de 4 à 12 ans, un mini club est disponible de 10h15 jusqu’à 12h30 , et l’après-midi de 15h15 jusqu'à 18h00. Mini disco enfant de 20h30 à 21h00. For a business or a romantic evening meal, the restaurant THE ROMA offers authentic Italian atmosphere of relaxation. Fresh ingredients, carefully prepared by our specialist chefs. Enjoy a delightful moment in AGADIR BEACH CLUB by rediscovering the Gastronomic Moroccan restaurant. The restaurant "L'INTERNATIONAL" offers a varied buffet, allowing you to taste the best international cuisine. This is the ideal place for a special dinner with your partner or family. L'ESPADON a restaurant specializing in fish and offering seafood lovers a rich and varied menu where flavors and colors intertwine for dishes worthy of a work of art. Rain or shine, you can always hear a piano player tickle the ivories in the evening at the hotel. You're sure to enjoy the warm, carefree atmosphere. For a cocktail or a glass of champagne, for music and meetings, The BAR COCKLAIL, the ideal place to start or end your evening in AGADIR. Discover the benefits of a traditional Moroccan Hammam . Your meeting room can accommodate up to 300 people,perfect for work in peace.